New Edition of Our Sutra Book! 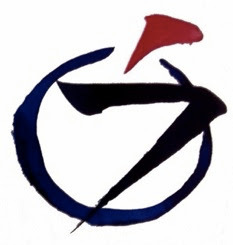 You can see the FOURTH edition of the Boundless Way Zen Sutra Book: CLICK HERE. Downloading may be easier HERE. We'll also have printed copies available at Saturday practice starting Dec 16 -- including copies you can take with you for home practice. This edition, at 90 pages, is expanded by 50% over the previous edition. I and the other Guiding Teachers believe that this document, even more than before, thoroughly represents the scope, teachings, emphasis, and context of Boundless Way Zen. We'll be using this sutra book as the study text for the Coming-and-Going Sesshin in January-and I encourage students of BoWZ to throughly explore, reflect, on and practice with the many powerful texts in the sutra book, perhaps rotating through reading them aloud at home. I encourage BoWZ Dharma Teachers to give talks from the sutra book and to select texts that go along with your talks. And I encourage everyone to bring questions and resonances to any of us in dokusan, or in dharma dialogue! We've made a number of changes, including to material we use in nearly every service-so the sangha will all want to read along in the books for while, even if you've memorized previous versions. Let me mention a few such changes we're excited about. We've expanded the Ancestors Dedication to enable us to better honor and acknowledge our debt to the women ancestors near to all three of the BoWZ lineages whose practice has directly or indirectly impacted our own. Many names are still "left unsung"-but the dedication is now made up of 50% women ancestors, in our attempt to begin to right the wrong of historical erasure and silencing. Moreover, in the back of the sutra book you'll find brief biographies of every ancestor mentioned. In the material added to this edition, we've also taken great care to bring forth the voice of women. There are pieces from two contemporary Zen Teachers of Color: angel Kyodo williams, and Zenju Earthlyn Manuel. There a piece from Daehaeng Sunim, a contemporary and influential Korean Seon master. We've added a poem from Wendy Egyoku Nakao, Abbot of the Zen Center of Los Angeles, and a additional piece from Joan Tollifson, as well as a resonant piece by Rebecca Solnit. These join the pieces written by women in the previous edition, Awakening from Discouragement (by Tollifson), The Ship of Compassion (by Miaoshi) and Spring Everywhere (by Shundo Aoyama). We've changed the text of the Gatha of the Atonement to emphasize not just momentary at-one-ment, but also the ongoing effort of contrition, reparation, and change. Accordingly, the Gatha now ends "I vow to atone for it all" (rather than "Now I atone for it all"). CHANTING NOTE: folks are encourage to chant "I-VOW" quickly together, and "TO-ATONE" quickly together--rather than giving each of those four words equal slow weight (i.e., not: "I vow to atone "). We've added more options in the dedications, and are now encouraging people to remain with head bowed during the speaking of individual names. We've broken up some of the longest pieces into shorter more wieldy chunks. We've changed the chant leader's role in the 4 Bodhisattva Vows-now they will chant the title, and then the entire sangha will join in from the very beginning of the first vow. We've brought in additional material for memorials, suggest Egyoku Nakao's "A Blessing for the Journey" perhaps for weddings, have included a revised version of the less formal Oryoki spoken chant we do on Coming-and-Going, have included a few mantras for people to explore practice with, and a powerful primarily-about-sound-only chant from the Shin tradition that can be richly used at at times of remembrance and recommitment-and other times as well. We have two pieces we're calling "Prayers" from Shantideva and Larry Yang. 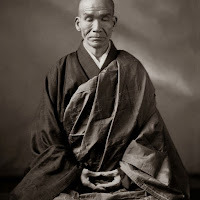 And then there are many powerful new teachings from Dogen, Keizan, Koun Yamada, Dainin Katigiri, Kosho Uchiyama... and more! And to make it all more useable, we've added in the back an Index by Title and an Index by Author. I'm so thrilled to begin practicing with this new edition of the sutra book. And may we realize the Buddha Way together! Reading this week: Bernie Glassman, Infinite Circle, Chapter 14 and Epilogue, pp. 125-142. For Dec 23 and Dec 30, the reading will be selections from the New Sutra Book. Meredith's latest Koan Post: Book of Serenity #89, "Dongshan's 'Place of No Grass'": CLICK HERE.